Spiritual Healing Could Be the Key to Creating the Life You have Always Wanted. 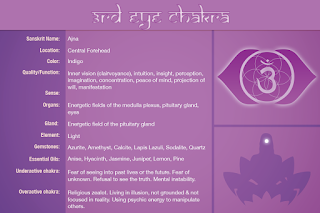 Find out which Chakras are Blocked- Free Chakra Test! Balancing Your Chakras Could Be the Key to Creating the Life You have Always Wanted. Is your financial situation, relationships, or your physical and mental health crumbling down right before your eyes? Does it seem like every decision you make only leads to more stress, anxiety and problems? For many of us, our lives are filled with countless challenges, struggles, and painful experiences. Often times it may even feel as if you’re sitting in the backseat of a car, while your life is spinning out of control. However, what if I told you that the answer to all the pain, anxiety, and stress you’re experiencing could be solved by giving your body a simple chakra tune-up? What if I told you that by balancing your blocked chakras, you could easily grab the steering wheel and regain complete control of your life? It may seem like I’m being overly simplistic, but nobody ever said life had to be so difficult. Each and every one of us has 7 chakras within our body and these chakras are the keys to unlocking our true potential in different aspects of our lives. The goal is to have all 7 chakras in perfect harmony and balance, but even just opening up one blocked chakra can produce a tremendous positive impact…turning your entire life around. 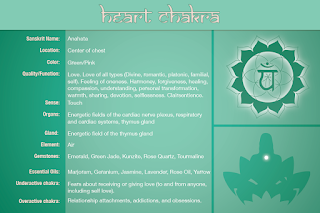 I would like to help you diagnose which blocked chakras are responsible for the different problems you may be experiencing. Please take a moment and reflect on some of the challenges you've experienced this past year, month, week, or even this very day. Are you experiencing problems with your physical health? Do you find yourself procrastinating all the time and never seem to accomplish your goals? Are money issues or your home a constant trigger of stress and anxiety for you? Do you physically hurt yourself? Have you ever attempted or contemplated suicide? If you answered “yes” to any of the questions above, your troubles may be caused by a blocked or unbalanced rootchakra. Do you find yourself emotionally unstable? Do you tend to hide or control your feelings? Are you lacking creativity and the ability to think outside the box? Is it difficult for you to be open to intimacy? Do you have sexual issues? Is it difficult for you to live in the present moment? 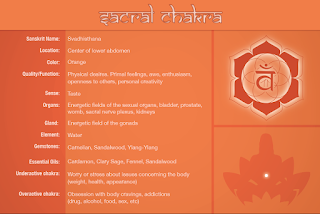 If you answered “yes” to any of the questions above, you may have a blocked or unbalanced sacral chakra. Do you seem to have a lack of focus in life and an inability to concentrate? Are you constantly worried about what other people think? Do you seem to have a lack of self-esteem and confidence in yourself? Is your mind often clouded and you find it hard to make decisions? Do you find yourself taking on more responsibility than you can reasonably handle? Are you often obsessed with making sure everything you do is perfect? Is it difficult for you to be alone? If you answered “yes” to any of the above questions, your trouble may be linked to your navel chakra. Do you have difficulty accepting yourself the way you are? Are you experiencing a lack of freedom in your life? Do you have difficulty making up your mind and find yourself indecisive? Are you always saying “yes” to other people’s demands and requests? Is it difficult for you to “put your foot down” and simply say “no” to people? Do you fear rejection or being abandoned by other people? Do you struggle with jealousy and find yourself envious of others? 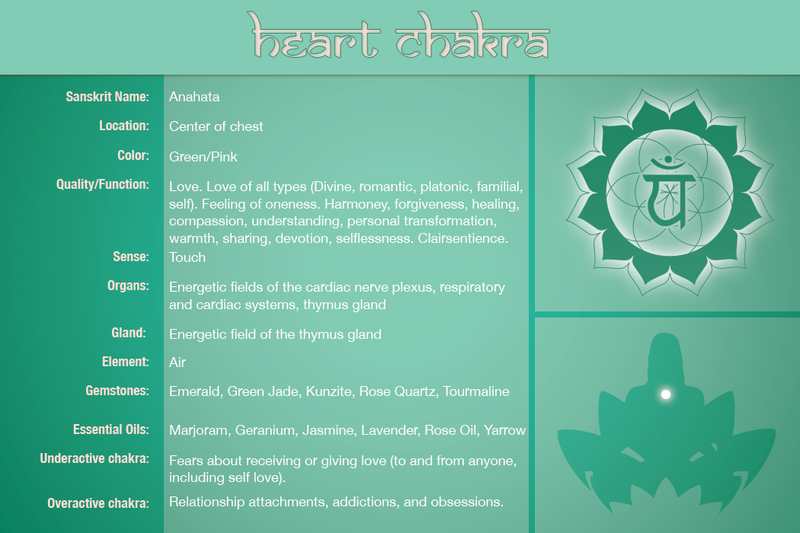 If you answered “yes” to any of the above questions, you may need to open or balance your heart chakra. Do you have difficulty expressing yourself and your beliefs? Do you lack trust in others? Does your life lack organization? Do you constantly worry about financial security and constantly chase material things? Are you shy by nature and have trouble holding a conversation with other people? 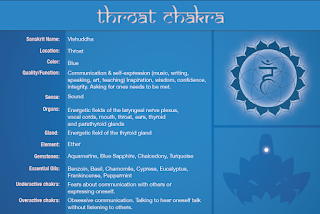 If you answered “yes” to any of the questions above, this could be linked to a blocked or unbalanced throat chakra. Do you lack intuition or insight in life? Are you constantly hanging onto negative thoughts and find it difficult to overcome fear or anxiety? Do you find yourself living in a fantasy or dream world and not in reality? Do you struggle with depression or always feel lonely? Are you too hard on yourself and lack self-pride? 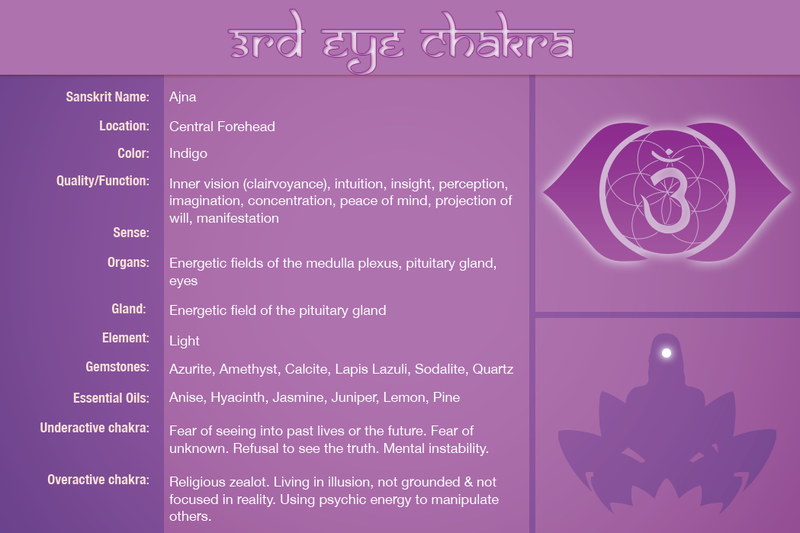 If you answered “yes” to any of the questions above, you may need to open or balance your third eye chakra. Does your life lack spirituality or a connection to God? Do you lack a sense of purpose in life? Do you lack faith in any religion or form of spirituality because you are too caught up with yourself or ego? 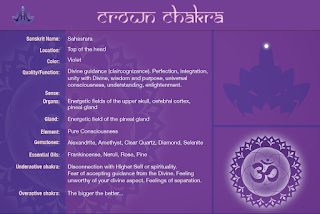 If you answered “yes” to any of the questions above, you may need to open or balance your crown chakra. 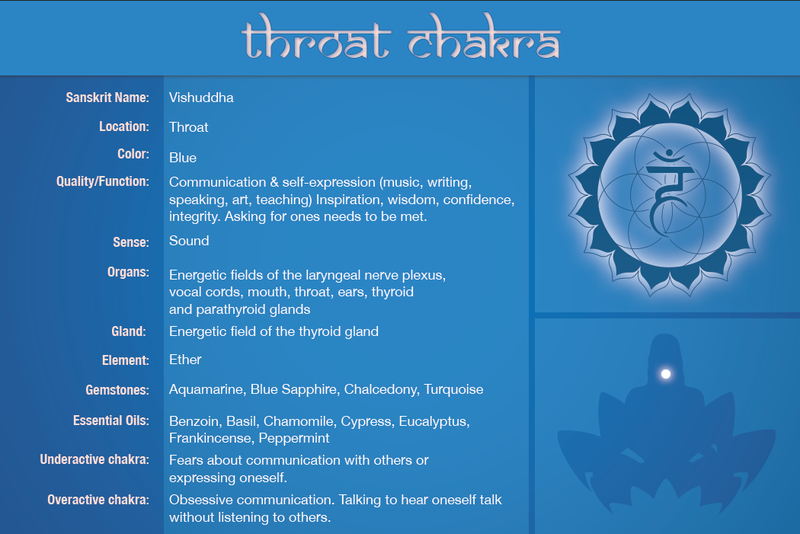 Hopefully you are now able to properly diagnose yourself, and identify which of your chakras are blocked or unbalanced. This is the first step in overcoming any challenges you may be experiencing. All there is left to do now is learn how to open your chakras and properly balance them. 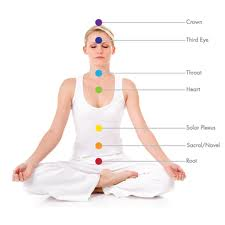 There are many different methods to do this including chakra healing, chakra meditation, and even Reiki. However, these methods are primarily geared towards the advanced practitioner, and require a spiritual guru with vast experience in chakra training. For this reason, having proper guidance is extremely important when attempting to open and balance your chakras. What if I told you that you could have someone take you by the hand and walk you through the process? Intrested in Booking an appointment? 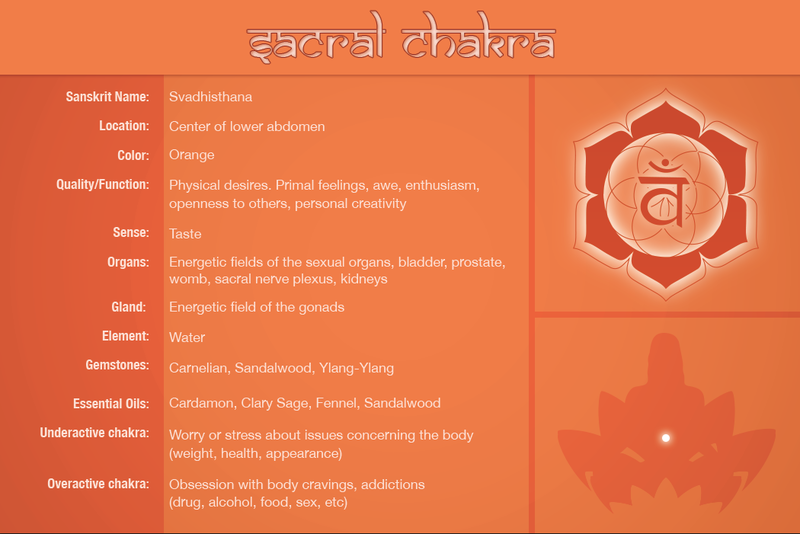 Our sacral chakra is located in the area below your navel, lower abdomen, low-back and sexual organs. The basic issues affected are creativity, sexuality, money, relationships, empathy, nurturing, pleasure, emotions, movement, change, warmth, and intimacy. It represents your ability to go with the flow – grace and acceptance and allowing yourself to enjoy your life and achievements. The associated body parts are your hips, lower back, sexual organs, bladder, kidneys, stomach, large intestine, pelvis, appendix, and bodily fluids. Our roles are affected by the programming in this area of fear of abandonment, financial security, social status, children, and creativity. You can be controlled by your fears, level of trust, guilt and shame. This area is concerned with daily aspects of living, people to whom we relate, and quality of our relationships. It also relates to everything we own, money, relationships, and passions. If you are feeling pain or discomfort in your any of these body locations, it may be an indication that there are some emotional issues that need clearing. I see this every day with my clients. Low back pain has a high association with money issues among other things. If you do not have a habit of safely expressing your emotions, it is likely that your lower body is holding onto these emotions until you are ready to process them. Unexpressed and unprocessed emotions do not go away; they take up residence in your energetic and physical bodies. 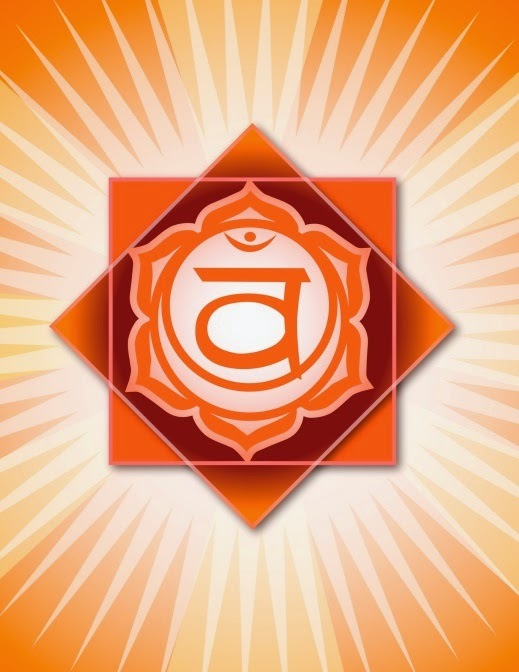 Balanced Chakra: A healthy and open sacral chakra means you are friendly and open with yourself, others and nature. You possess great vitality and readily express empathy for others. Creativity and emotions flow with enthusiasm and you are naturally joyful and innately intuitive. You are in touch with your sexuality and a healthy sexual union with your partner which makes your body and spirit healthy. 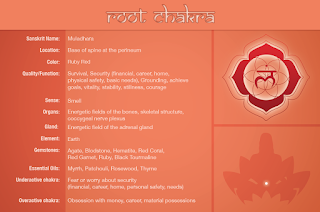 Unbalanced Chakra: An unhealthy sacral chakra mean you are either shy, timid, or immobilized by fear. You may seem or feel frigid, cold emotionally and sexually. Tensions in this chakra manifest as inner conflict, sexual problems, instability and a sense of isolation. 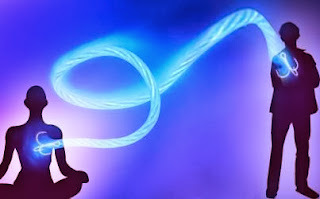 Energy cords can be a temporary telepathic and energetic link between two people. Cords aren't necessarily bad however if you find yourself constantly thinking of someone in particular, you may form a cord that will drain you and make you feel bad for no reason. Energy cords show themselves as that surge that you get when you connect with someone. It depends hugely on the person, the circumstances, and on your openness to the feeling. Cords can form between people, objects, and situations where there is a fearful attachment, afraid to let go, scared to be alone, afraid to be without. These are invisible energy links. We normally cord to other people and also allow them to cord to us throughout the course of our everyday lives. Many of these cords are short lived and dissolve quickly. There are some however, normally the intensive, volatile, or the longer term relationships, that create cords and with a build-up of numerous energies and emotions, such as desire, need, love, anger, jealousy, envy etc. These cords can create problems in the form of aches and pains, depression, rage, exhaustion, burn-out etc. It is normal for parents to form cords with their babies, this is both a necessity and a positive thing, as these cords help parents communicate with and understand their baby’s needs. Healthy cords dissolve naturally over a period of time, as the child grows. Negative cords feed the energy and emotions of one person to another, both positive and negative, so you may be feeling particularly angry and not know why, you may also be feeling depressed for no apparent reason. Cords are normally formed on a subconscious level, through a person’s need for strength, manipulation, control. If you have decided to move on from a relationship and you find it particularly difficult to “let-go” it may be that there are cords of attachment from the other person holding you back. A person going through a divorce may be feeding their anger, rage, stress, and jealousy to the other person and vice versa. Without realising it, parents feed these emotions to their children and partners, creating all sorts of problems for everyone. If you have a cord attached to someone you love and that person is going through a major crisis, they may be draining energy from you. So you will feel drained without knowing why. In this case some healthy boundaries need to be created. 3.cleansing and healing the anchor point / attachment point. In energy cord work, there is more than the healing practitioner and the client involved – there are others at the opposite end of each cord and they too must be taken cared for. Cutting cords doesn't necessarily lead to break-ups or abandoned relationships, unless that is what you are seeking. Cord cutting will help you move forward with confidence and clarity since it releases the dysfunctional parts of your relationships. Fear is the opposite of love, and all attachments are created from fear. I use high frequency spiritual light to heal the areas where the cords were attached and create a shield around each chakra to prevent further attachments. Emotional Cord Cutting sessions can be performed in-person and via distant healing. Enjoy the freedom and empowerment of an Emotional Cord Cutting today! Cindy is available to perform her services in-person, or via distant healing. You will receive the same powerful effects as an in-person Emotional Cord Cutting. 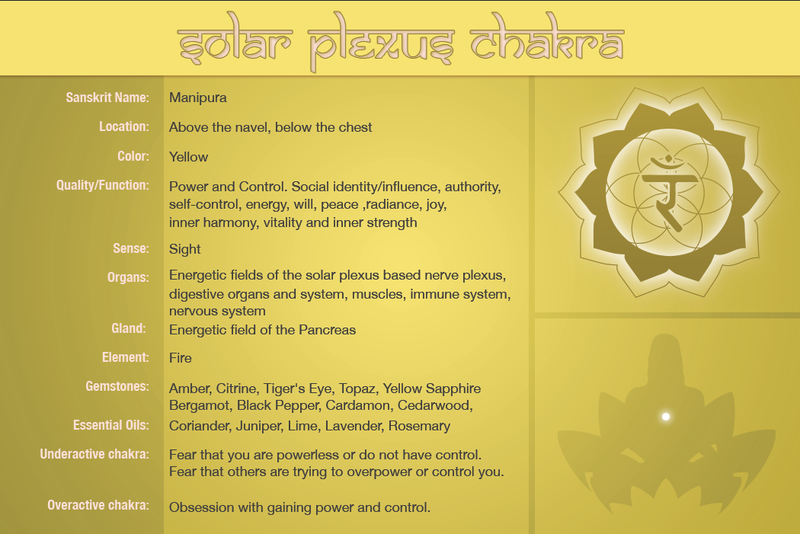 The Solar Plexus chakra is located below the breast bone and is the third of the major chakras. It is located in the stomach between the base of the sternum and the navel. This chakra is the area where responsibility for others, caring for others, personal honor and courage emerge Sometimes called the power chakra. 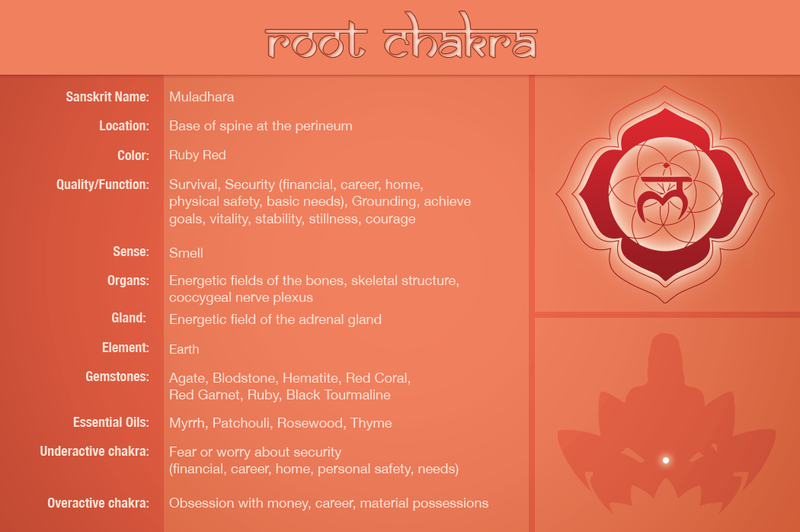 The energy of this chakra is about your personal power and self esteem, manifestation, and feeling centered. 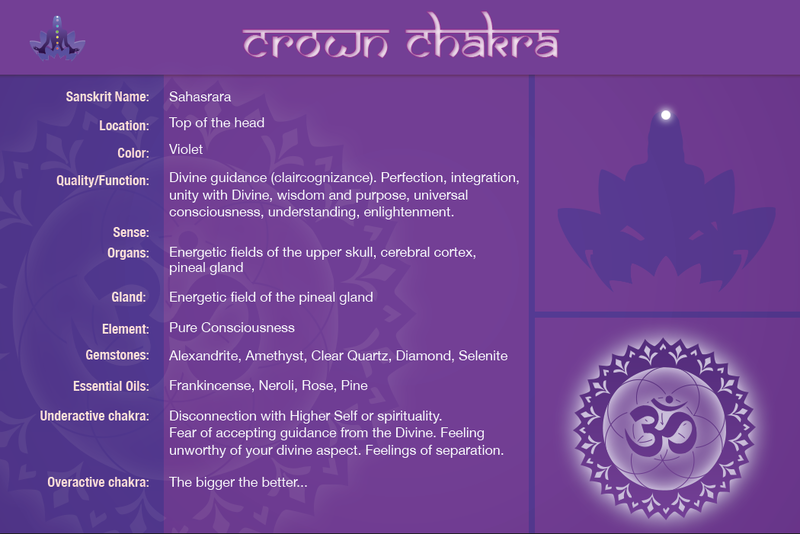 This chakras meaning is all about the concept of 'the will'. 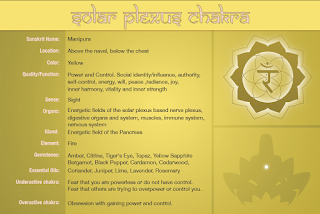 The solar plexus chakra relate to self confidence, self esteem, the ego, personal power, self worth, clarity and self control. Improving energy flow to the solar plexus may clear problems that have been producing lack and limitations. It is also a powerful area to bring an improvement in your finances as its energy aids you to manifest money. As you improve the energy flow here, you will develop stronger will power, more confidence and improve your ability to manifest. Balanced Chakra: A healthy and open Solar Plexus chakra glows warmly like the fire this chakra represents. You are a warm hearth of inner confidence, show respect towards others and yourself. You will be very calm and centered. 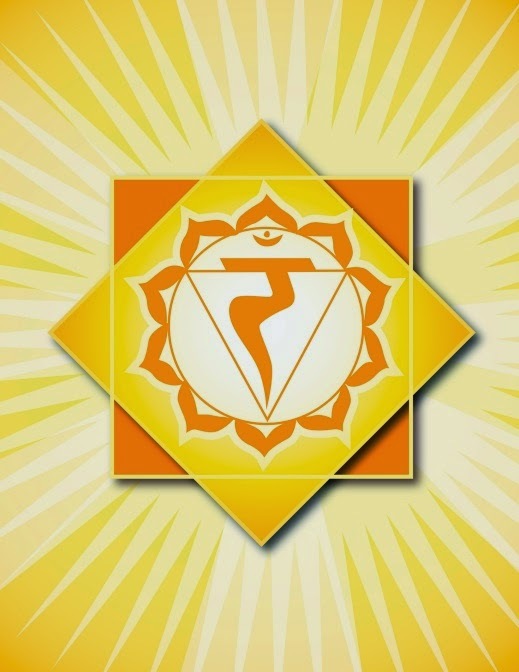 Unbalanced Chakra: Blockage in the solar plexus chakra mean you likely feel easily depressed, rejected and possibly wanting to blame others for your insecurity feelings. You are willing to change to suit the needs and wants of others to be more accepted as you need reassurance and to be in the good opinion of others. What are the Chakras ?